1962 cadillac front bumper ends lower ends, these will need work, good cores, no hard rust on the outside, the driver side has small holes that need some filling. 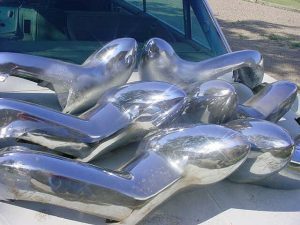 E-mail me for close-up pictures, 1962 cadillac bumper ends $450.00 each + shipping, please email me regarding shipping outside USA......We have also good solid bumper lower ends $700.00 each + shipping. These will have scratching, but are rust free and soild 1962 cadillac bumper lower ends! 1962 CADILLAC LOWER FRONT BUMPER ENDS! 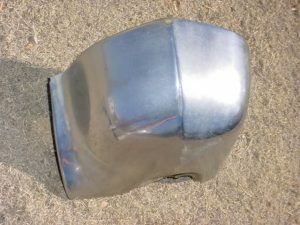 1963 CADILLAC ELDORADO FRONT LOWER BUMPER ENDS DRIVER SIDE (HARD TO FIND IN THIS CONDTION GREAT CONDTION) Due to these 1963 cadillac bumper ends becoming very hard to find at best, it's hard for us to maintain the starting price of $550.00 each. 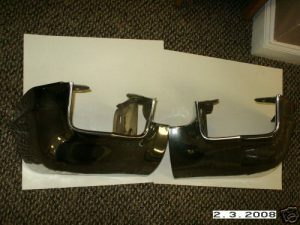 These $550.00 lower 1963 ends will need work, please e-mail regards the 1963 cadillac bumper ends pricing. 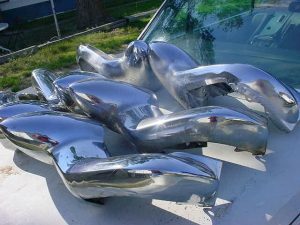 As with most things they will rise in price due to them becoming harder to find, 1963 cadillac bumper ends. Call Colorado (719 529 9624) or if outside USA call (719 523 4462) or e-mail. 1963 CADILLAC FRONT LOWER BUMPER ENDS! 1957, 1958 CADILLAC REAR LOWER BUMPER ENDS! New arrivals to Classic Cadillac Bumpers this month are 1957 and 1958 Cadilac rear lower bumper ends. These very hard to find (without rusting out bottoms) ours are very clean 1957; 1958 rear bumper ends. These bumpers do have the grilles insides. Please e-mail me: colinhouston1@yahoo.com or call Colorado 719 529 9624 anytime! Thank you! We have very clean front Cadillac Dagmar's from Cadillac's 1954, 1955, 1956, 1957 and 1958 Cadillac's. Price range from $500.00 upwards. Please e-mail or call for more details.